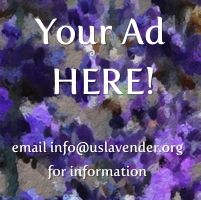 The USLGA is a 501(c)(6) non-profit professional association for the benefit of the lavender growing industry in the United States. It is managed by a board of directors, and there are Bylaws, Policies and Procedures, Mission and Vision to guide the organization's decisions. Committees are made up of members and perform specialized duties. They work together to complete projects and develop USLGA.